4-CD box (LP-size) with 44-page book, 113 tracks. Playing time approx. 263 mns. This set continues Bear Family's chronological reissue of legendary Pappy Daily's Houston, Texas-based 'D' Records. Picking up where Volume One left off in April 1959, it traces the label single-by-single through October of that year, from D 1062 to D 1110, with an added bonus of over a dozen unissued sides. Like Volume One, it contains a dizzying variety of music from western swing to rock 'n' roll, from artists from locations as far flung as Pontiac, Michigan, Jacksonville, Florida and Ontario, Canada. But its heart, as with Volume One, is in classic Texas honky tonk that was proudly and defiantly out of step with the Nashville Sound mainstream country of the era. Contained are classic early recordings by the then-struggling singer songwriter Willie Nelson, as well as typically excellent sides from such Texas-Louisiana stars as Leon Payne, Country Johnny Mathis, Claude Gray, Tony Douglas, Tibby Edwards and others. 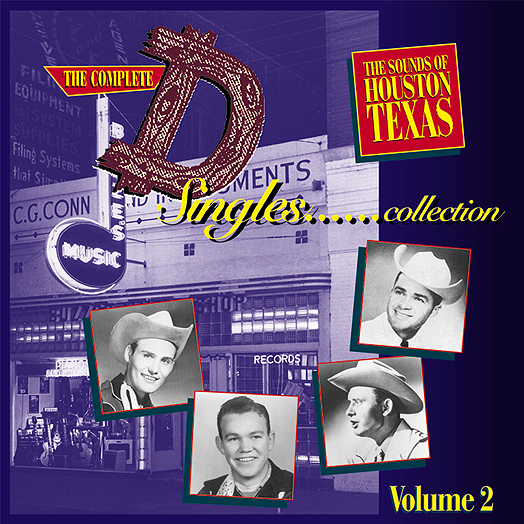 Alongside these are unheralded minor classics like Durwood Haddock's 'East Dallas Dagger', the Travelin' Texans 'Beatin' On The Bars', Joe Carson's 'Careless Words' or Dee Mullins' 'I've Really Got A Right To Cry', as well as unissued sides by artists like Big D Jamboree stars Doug Bragg and Billy Jack Hale and western swing bandleader Merle Lindsay, among others. "Various - The 'D' Singles"
'D' Records was one of the great independent labels. Founded by Houston-based record producer 'Pappy' Daily in 1958, it captured a cross-section of east Texas music from the 1950s until the 1970s. Among the artists who recorded for the label were Willie Nelson, The Big Bopper, Claude Gray, James O' Gwynn, Eddie Noack, Bill Mack, Herb Remington, Link Davis, Tibby Edwards, Benny Barnes, Ray Campi, Floyd Tillman, George Jones, and George Strait. 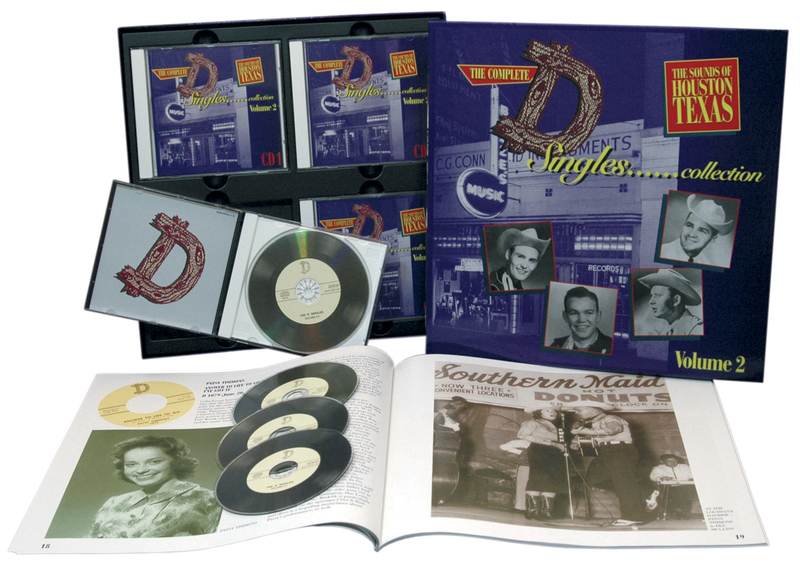 Many fabulous but little-known honky tonkers and rock 'n' rollers recorded for 'D' as well. Its catalogue is a great undiscovered treasure. Customer evaluation for "Vol.2, The Sounds Of Houston Texas (4-CD)"